In 1987 Pirate Software, released the rather unknown action game ' KGB Agent ' for the C64. It involved you as a KGB Agent, shooting at bad guys, picking up items and avoiding being shot at to gain an ever higher score. Today however Hokuto Force have re-released the game but this time as KGB Agent +4DH which comes with a +4 trainer and high score saver. From my short play through of the game, which I didn't enjoy. 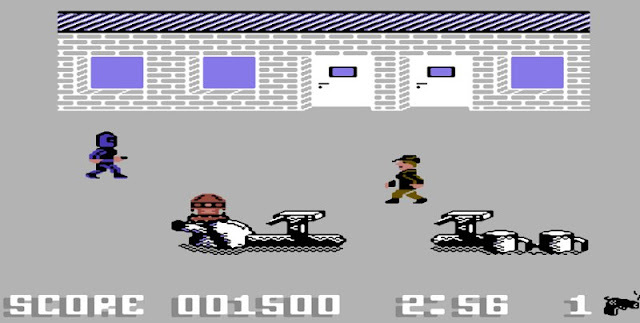 You simply have to shoot at any bad guys in your way that appear on the left as you walk along the scrolling screen. Other than items to pick up, the game is extremely boring, the graphics are lackluster and the amount of times you end up dying from stray bullets and multi directional enemies just ends up with frustration. 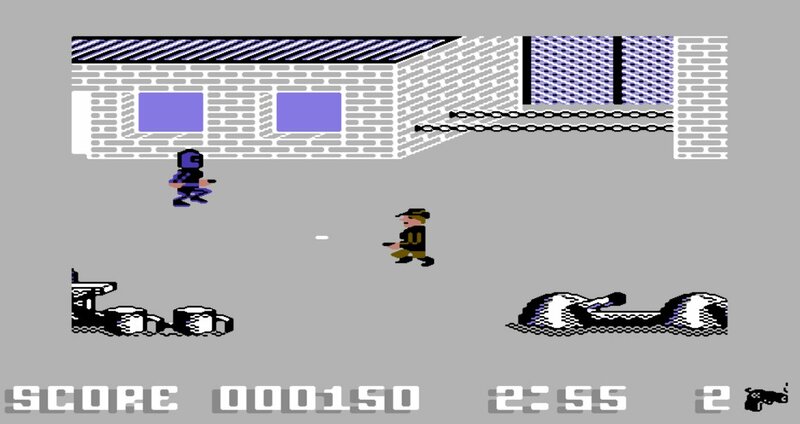 It is nice of Hokuto Force to give this game a trainer, but in all honesty I've played far better homebrew games and this is one of the poorest original C64 games I've played for a very long time.